Most of us have a commonsensical grasp of the common good, which we can apply easily if we do not allow ourselves to be misled. Pro-life arguments can be strengthened by appeals to the common good. 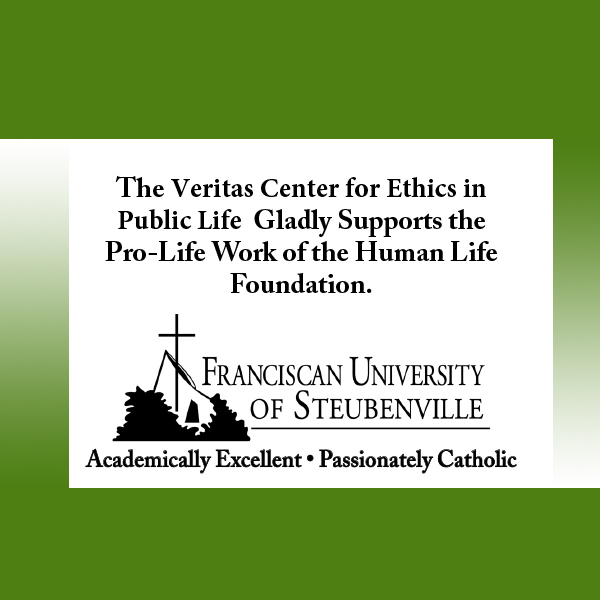 Pro-choice forces, however, often encourage us to misunderstand or neglect the common good. So perhaps it’s easier first to talk about the common good in terms of vaccines, and then come back around to abortion. In my youth I would never have guessed that vaccines could become controversial, but nowadays it’s not unusual to meet anti-vaccination activists. There’s the mother who anguishes over her child’s “natural” health and prefers homeopathic remedies. The father who is acutely sensitive to participation in any wickedness, and who has read that some vaccines are derived from laboratory cell lines that originated in children who might have been victims of deliberate abortion. And the populist politician speculating in public that “the elite” might be employing vaccines to squeeze a little cash out of hardworking families, or as a means of sterilizing poor children, or for some other social manipulation. Their mistakes are obvious to most people of good will. Many vaccines are spectacularly effective in promoting public health, but only when a threshold portion of the population gets vaccinated. Society can make room for eccentric explorations of alternative forms of healthcare, but we need to set limits when an eccentric exploration becomes a threat to all. We need journalists and politicians to remain vigilant against the possibility of conspiracies, but they should have compelling evidence before they sound the alarm in matters of public health. We need people of sharp moral conscience to alert us to our participation in evil, but we are not served by a Puritanism without prudence. The most typical anti-vaccination errors fall on the libertarian side, invoking the rights of the individual against what is needed for the common good. But it is possible to err alternatively on the totalitarian or utilitarian side, sacrificing all individual rights for the sake of some ideology or calculus. We might here imagine a government requiring even children with allergies to get vaccines likely to harm them. Instead, the common good is achieved when we recognize how our individual welfare is integral to our common welfare. As a whole, we’re better off when most of us are vaccinated as directed by public health officials. We’re not harmed when physicians make a limited number of exceptions for those who require them. It’s possible for us all to benefit from a modest application of discipline and good judgment. For us to have discipline, we need authorities to set standards and to limit exceptions. And for us to have good judgment, we need responsible public discourse, which means we need journalists and politicians to behave themselves. I trust the application of the concept of the common good to abortion is now clear. A pregnancy is arguably the most intense illustration of common good in human life. During pregnancy, the child is entirely dependent upon the mother for life and health. But the health of the mother is also bound up with the health of her child; on a grander scale, the survival of the family, the community, the nation, and humanity itself are entirely dependent upon the conception and birthing of children. Abortion advocates undermine the common good with familiar arguments. For the extremist libertarian, the whim of the mother is sovereign, and the needs of her dependent child don’t matter at all. For the totalitarian, the world produces too many children of the wrong race, ethnicity, or other attribute, and it’s in our interest to kill them while they’re still in the womb. For the utilitarian, unwanted or poor children might become a burden on society, so the sooner we eliminate them, the better. We can instead choose to think and act according to the common good. We can exercise better judgment about our mutual dependence and reject ideologies that presuppose a zero-sum competition between races or other affiliations. We can establish disciplines in our common life, such as the care of women with child, which lead toward the common good. Analogous to the child who is allergic to vaccines, we may face truly difficult cases, such as the rare pregnancy that threatens the life of the mother. With the right kind of public conversation, we can articulate policies that minimize offense to conflicting ethical priorities—e.g., not the legalization of abortion but the removal of sanctions in such dilemmas. The language of the common good is not hard to learn. On the contrary, it’s humanely intuitive. It’s often less divisive than “right to life,” but it imposes clearer public policy demands than more sentimental arguments against abortion. Prolifers might want to remember they have the common good on their side. 148 people have visited this page. 1 have visited this page today.